Akiles RubiCoil features a U-shaped handle that makes punching holes a light task. Includes a side margin control that centers documents perfectly every time. 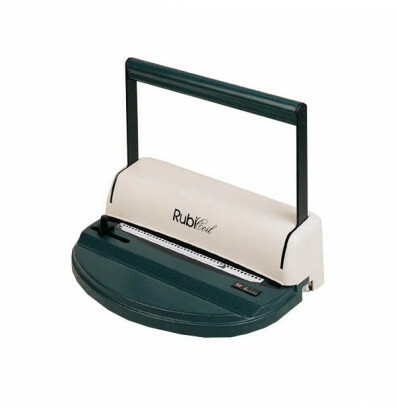 Ideal for low volume document binding and punching needs. 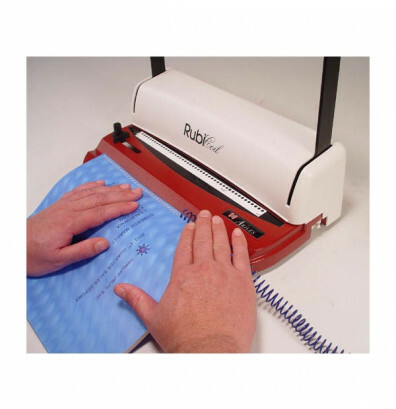 - Single Punch Length: 11"
Akiles RubiCoil plastic coil 4:1 binding machine features a U-shaped handle that makes punching holes an easier task. Harden steel dies provide clean punches in delicate or hard to punch materials as PVC or polyester. Punches up to 10 sheets of 20 lb. paper at a time. 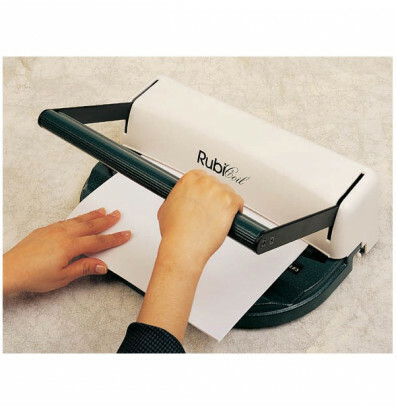 This machine is ideal for low volume document binding and punching needs. This Akiles RubiCoil includes a side margin control that centers documents perfectly and an inserting table channel that helps with the insertion of plastic coils. Metal chassis and high quality components ensure durability and reliability. Waste drawer conveniently holds punch chips between jobs. Watch out for UPS brokerage charges into Canada. 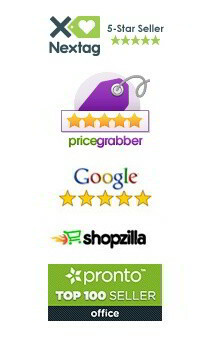 Product itself is very good and am pleased with it. This machine works very well and is so easy to use. It is saving me so much money from not having to take my booklets somewhere to have them spiral bound. I love, love love it. Works as advertised, easy to use, does an excellent job. The first time I used the coil binding machine was to make family calendars that have laminated front and back covers. Worked perfectly with the laminated sheets as well as the paper pages. Professional looking. I am well pleased, these look as good as the ones I had been getting made at Office Depot.